A Left 4 Dead style game with a focus on sniping? Sign us up. The staff also seems to still be addicted to Fire Emblem Awakening. Also Dark Souls. Because, well, all the cool kids are doing it. Nick Puleo (@NickPuleo) - "Not quite sure what's on the gaming plate other than dipping into Fire Emblem Awakening some more." Andrew Gaskill (@cubninja) - "I'm going to make time for Far Cry 3 co-op, which is better than I expected. I'll also be playing Sniper Elite: Nazi Zombie Army because that game is awesome. And Dark Souls. Because Dark Souls. " Mike Katsufrakis (@Pheriannath) - "Fire Emblem, Etrian Odyssey 4, and the ever-popular Dark Souls." Marc Allie (@DjinniMan) - "Picked up HAWX on sale this week, so we will probably play some of that in between Skylanders Giants and Spartan Ops." Jason Love (@JLove55) - "Shootin zombies in the eye. " Eric Murphy (@smurph_em)- "This weekend is going to be busy but I should be able to squeeze in some Life is Magic and possibly Halo 4." 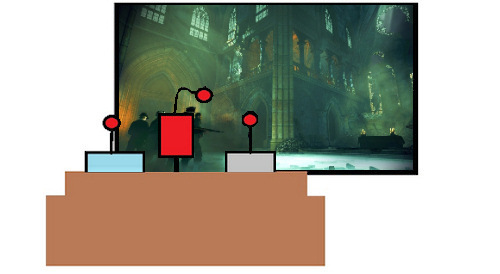 Locke Vincent (@LockeVincent) - "The Nazi Zombies are invading, so we need to push them back with our team of snipers. Then take that team to space and chaos dunk the new Mass Effect 3 Reckoning DLC. " Tally Callahan - "More handheld gaming with Fire Emblem: Awakening, Project Diva f, and thinking of picking up Legend of Heroes: Trails in the Sky. Also checking out Mark of the Ninja on PC." Chris Metz (@The_Lemko) - "Runner2 will take up much of my time, I'm sure of it." DJ Waaland (@FusRoDJ)- "This weekend I will be playing more Fire Emblem and Dark Souls. I also want to try out Fallen Enchantress and will be playing more Ninja Gaiden Sigma 2 Plus." John Bardinelli (@itsamejohn) - "If ye schedule allows it, it'll be a few rounds of A Valley WIthout Wind 2 and maybe fix up that mob spawner I broke on Minecraft. Oops."